This renovation to a suburban Californian bungalow utilises an elegantly folding roof to open the additions to the rear garden. 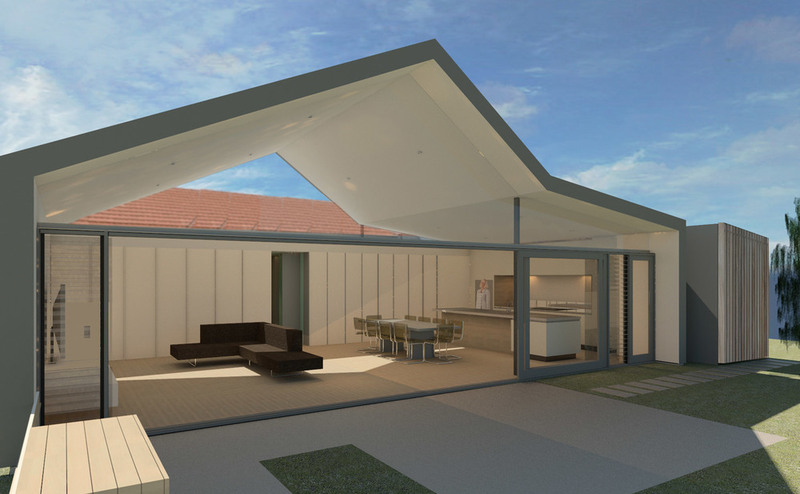 The folding roof form wraps down the side walls and was “taken” from the profile of the existing roof and lean to. The was then used to create a light and whimsical ceiling as well as enabling North light to penetrate into the living spaces through high level glazing. A series of operable internal doors and cupboards enable the space to dynamically open up to the surrounding rooms.